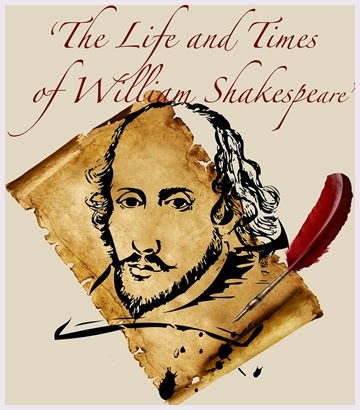 The English Speakers' Circle presents - The Life and Times of William Shakespeare by the Wilde Shamrock Touring Theatre. Who was William Shakespeare? Whenever we hear his name we think of ‘Romeo and Juliet’, we think of ‘Macbeth’. We think of the genius that is accepted as the greatest writer of all time. Doesn’t everyone think of that? Wilde Shamrock Touring Theatre doesn’t. They are more interested in William Shakespeare as a human being. Have you ever thought of Shakespeare having to suffer with every day life? A difficult marriage, loud kids irritating him, temperamental actors making his life a misery. These are the features of any genius that helps to mould his life. And they are the features that Wilde Shamrock bring to life. Just what was happening in Shakespeare’s life that may have helped him to create some of the most celebrated works in the English language. We look at his life as it was. A struggle to make his family happy while trying to satisfy his artistic abilities. Come along and see the hilarious interpretation of the life of the world’s greatest writer. Not to be missed. Wilde Shamrock Touring Theatre has been touring Europe since 2011 with a unique blend of theatre and Irish Music. Based in Dublin, the company plays in schools, theatres and town halls. The blend of interactive theatre with music has been thrilling audiences for the past three years.